Slow-mode shocks produced by reconnection in the corona can provide the thermal energy necessary to sustain flare loops for many hours. These slow shocks have a complex structure because strong thermal conduction along field lines dissociates the shocks into conduction fronts and isothermal subshocks. Heat conducted along field lines mapping from the subshocks to the chromosphere ablates chromospheric plasma and thereby creates the hot flare loops and associated flare ribbons. 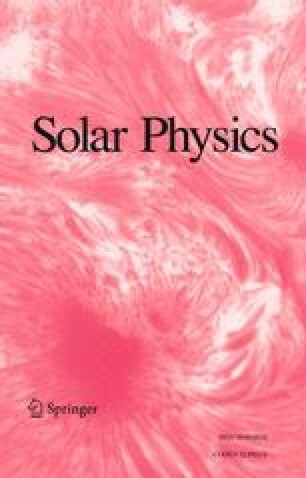 Here we combine a non-coplanar compressible reconnection theory with simple scaling arguments for ablation and radiative cooling, and predict average properties of hot and cool flare loops as a function of the coronal vector magnetic field. For a coronal field strength of 100 G the temperature of the hot flare loops decreases from 1.2 × 107 K to 4.0 × 106 K as the component of the coronal magnetic field perpendicular to the plane of the loops increases from 0% to 86% of the total field. When the perpendicular component exceeds 86% of the total field or when the altitude of the reconnection site exceeds 106km, flare loops no longer occur. Shock enhanced radiative cooling triggers the formation of cool Hα flare loops with predicted densities of ≈ 1013 cm−3, and a small gap of ≈ 103 km is predicted to exist between the footpoints of the cool flare loops and the inner edges of the flare ribbons.